Camie Marstrap was a resident of Anchorhead on Tatooine. She appeared in a scene near the beginning of A New Hope at Tosche Station with Luke Skywalker (and a few other of Luke’s friends) that was cut out of the final version of the film. Actress Koo Stark portrayed Camie in A New Hope. Camie also appeared in the novelization of A New Hope and, more recently, in the novelization of The Last Jedi. She was mentioned in the novel A New Hope: The Princess, the Scoundrel, and the Farm Boy. Here’s the deleted scene of Camie (after a scene with Luke and Biggs Darklighter) from A New Hope. And here’s a bit of what you may have missed about Camie if you’ve never read the A New Hope Novelization. Hmmmm. OK. Camie also appeared in many other, now Legends, materials including the comics Star Wars 1, Star Wars 17: Crucible, and Star Wars 31: Return to Tatooine. She also made an appearance in the young readers book Star Wars Journal: The Fight for Justice and the comic Empire 8: Darklighter, Part 1. Upper left: Star Wars 31: Return to Tatooine. Upper right: Star Wars 17: Crucible. Lower left: Star Wars 1. 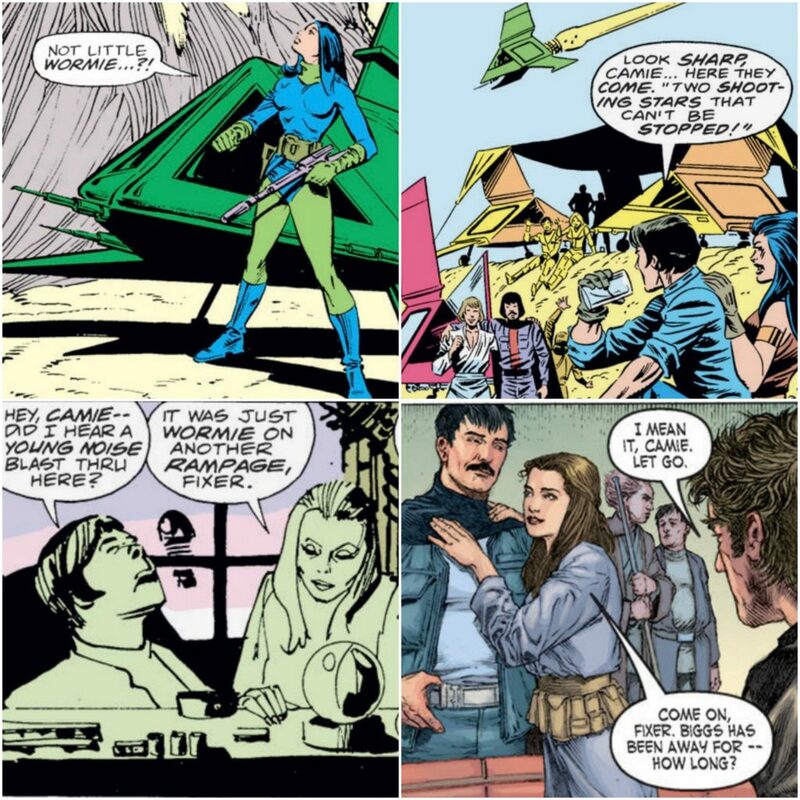 Lower right: Empire 8: Darklighter, Part 1.